Palate: Smooth, subtle, yet robust, and rich. A wonderful length of finish. 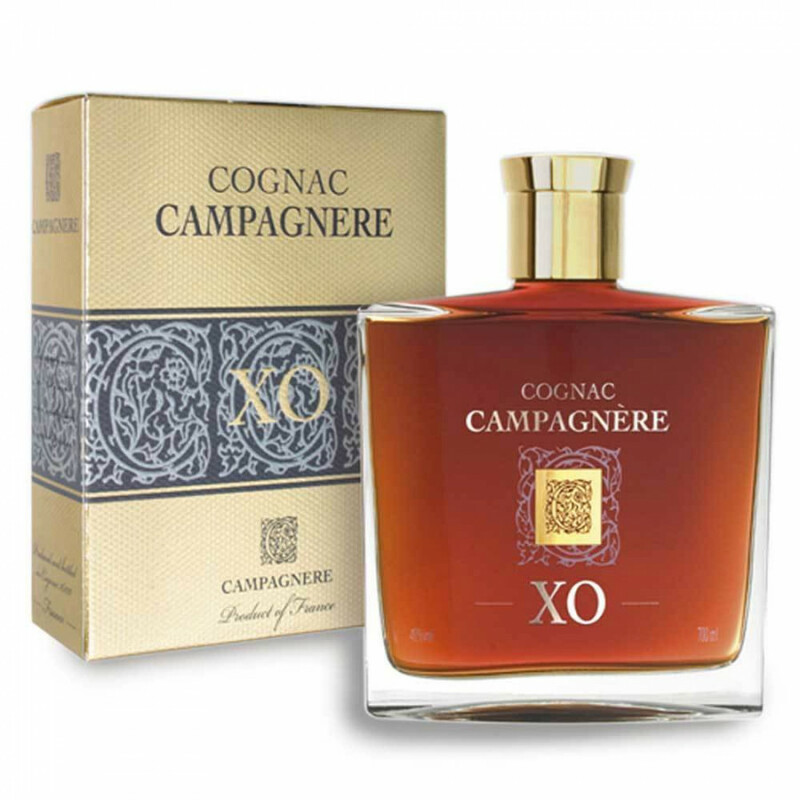 The Campagnere XO Cognac is a true example of the ethos of this Cognac house. With the aim of creating Cognacs that appeal to the connoiseur, if you only taste one from their unique range, make it this one! The 2-brother strong team of Jerome and Lilian Tessendier have selected only the very best eaux-de-vie from their cellars that marry together to make a Cognac truly worth savoring. Combining the elegance of Grande Champagne with the sophisticated structure of Fins Bois, the components that make up the blend have been aged for decades - the oldest being nearly half a century in the making! One of the best things about this Cognac is the superb length of finish - truly remarkable! A delightful Cognac that certainly earns its place in the most elegant of company.